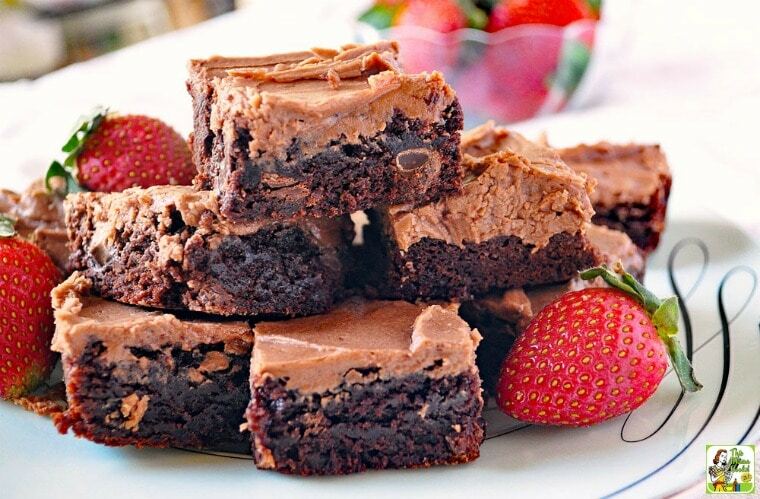 The Ultimate Double Chocolate Brownies Recipe! 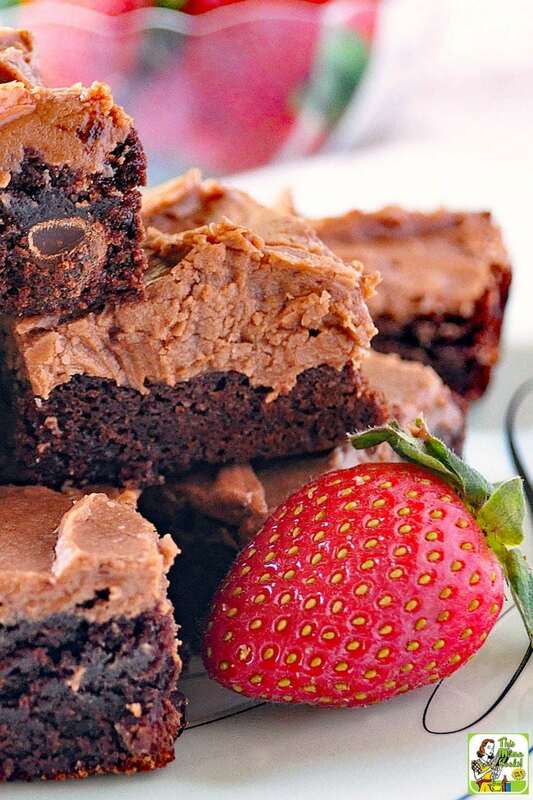 Do you love to make double chocolate brownies with chocolate chips? 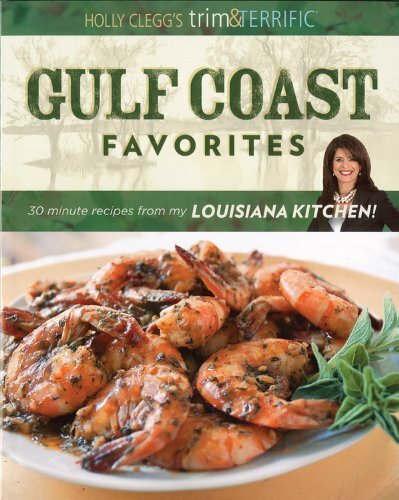 Then you must this recipe from Holly Clegg’s trim&TERRIFIC Gulf Coast Favorites cookbook! Holly recommends it as the ultimate tailgating dessert for fall. I think Holly’s double chocolate chip brownies are good any time you need chocolate fix! And if you’re gluten free or dairy free, I’ve included tips below on how to change Holly’s recipe to fit into your diet. School is back in session and for some folks that means one thing – football! Whether you are planning your tailgate party on the campus grounds or propping your feet up in front of the game on TV, food takes center stage at either event. 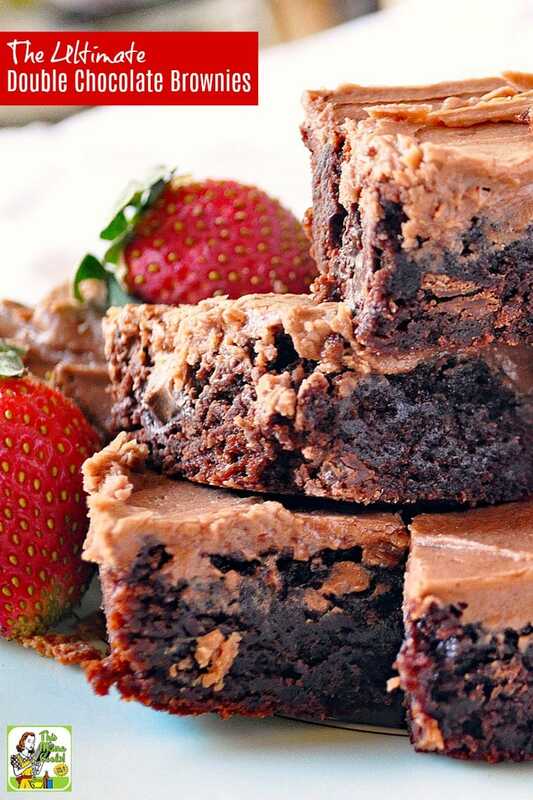 Just wait until you dig into this Ultimate Double Chocolate Brownies Recipe from my Gulf Coast Favorites Cookbook. They’re my very favorites and most requested easy chocolate brownies recipe – perfect for tailgating! I always save room for dessert, and for the ultimate in game-day sweet treats, Double Chocolate Brownies are a chocoholics’ dream. The hint of almond extract makes the icing melt in your mouth. Be sure to sneak a taste hot out of the oven, as they are my absolute weakness – one bite is never enough! Be sure to make them in a large pan and cut in squares to feed your whole tailgate crowd. My friend insisted these were the best and easiest brownies, and she was right as everyone goes wild when I make them. I included dark or bittersweet chocolate chips to contrast the sweet chocolate almond icing making them the perfect delectable combination! To make this easy chocolate brownies recipe gluten free, use a gluten free brownie mix. If you have any dairy, gluten or nut allergies, it’s best to use a allergy free chocolate chip like Enjoy Life Semi-Sweet Chocolate Chips. If you’re dairy free, you can substitute a vegan buttery spread instead of real butter and unsweetened coconut milk for the skim milk. Finally, if you have a nut allergy, leave out the almond extract in this Ultimate Double Chocolate Brownies Recipe. You could add a teaspoon of vanilla extract or rum instead. In a bowl, combine together brownie mix, eggs, oil, and water until well mixed. Stir in chocolate chips. Transfer to 13 x 9 x 2-inch baking pan coated with nonstick cooking spray. Bake 23–25 minutes (be careful to not overcook). Cool. In mixing bowl, cream together butter, cocoa, confectioners’ sugar, milk, almond extract until creamy. Spread on top of brownies. Pictures and recipe used with permission of author. Posted in Baking, Gluten Free, Recipes and tagged chocolate, Holly Clegg, party food on September 20, 2017 by Anne-Marie Nichols. Previous post 20 Best Tailgating Recipes for Fans Who Want to Eat Healthy! Next post The Best Carne Asada Marinade recipe ever!